Loewe has launched Agua de Loewe Cala d'Or, a new limited edition unisex fragrance. 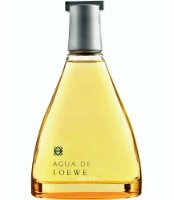 Agua de Loewe Cala d'Or is a flanker to 2000′s Agua de Loewe, and is the second in the series that began with 2011's Agua de Loewe Mediterráneo. For natural, cheerful and relaxed men and women. A citrusy, luminous and sparkling fragrance, with the original touch of the cold and spicy note that mint and ginger bring. Notes for the sparkling citrus fragrance include neroli, peppermint, jasmine, mandarin, lemon, bergamot, ginger, rose, amber, musk and mate. Loewe Agua de Loewe Cala d'Or is available in 50, 100 and 150 ml Eau de Toilette.